Blog of Artenom Georgia Consulting: Ok, Russia lets Georgian wine in, what's next? Ok, Russia lets Georgian wine in, what's next? While restoration of diplomatic relations is deadlocked by the issue of Georgia’s breakaway territories, such steps as lifting the ban on Georgian products, complemented perhaps by cultural exchange may serve as gestures of good will. To improve bilateral relations thoroughly, however, much more good political will is required than is available now. Under that angle, the political and symbolic significance of Georgian wine’s comeback prevails over its economic impact. From business viewpoint, permission to export to Russian market is excellent news for Georgian winemakers and hopefully for the agriculture industry of Georgia. After all, Russia has been the natural consumer market for Georgian agriculture for centuries. 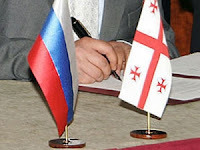 In Russia the Georgian products will find certain demand, but will face hard competition. I may reiterate what I told to Wine Spectator magazine in September: it will be challenging, if not impossible, to regain the market share Georgians used to have in retail. Given the high cost of marketing campaign in Russia’s huge market, the importers are likely to use more cost-efficient solutions such as distribution through Georgian restaurants. Georgian cuisine is in high demand in Russia, and no additional marketing is necessary to offer authentic Saperavi and Kindzmarauli to clientele of thousands of Georgian restaurants. 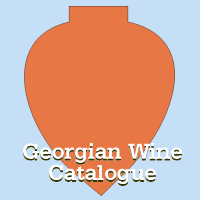 There is no doubt that high-end supermarkets and wine boutiques will also stock Georgian products. In the lower market sections, however, Georgian brands may again face the problem of counterfeits. The problem of fake Georgian wine existed in Russia before the ban. It’s no secret this problem still exists in other markets – including even the USA. What can be done to fight against counterfeiters and to secure quality of Georgian brands? 21 century’s technologies offer a range of solutions – from online wine shops with direct sales from the producer, to special labeling with RFID chips, which allow the wine label to be read by mobile phones. Maybe it is good time for technology-savvy Georgian producers to consider the next steps to fully take advantage of the new opening opportunities.